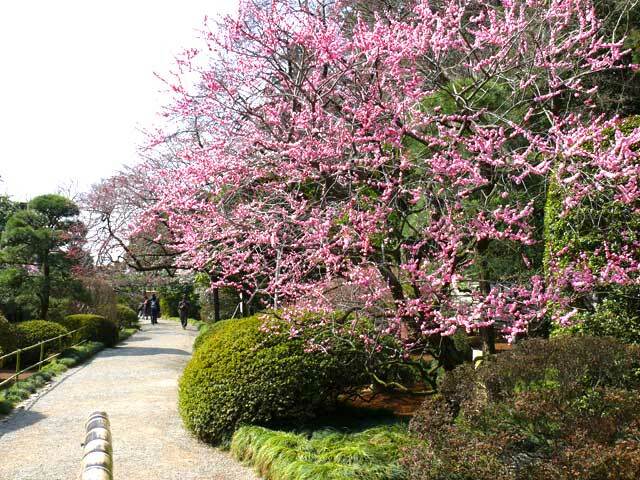 If it is Japanese peoples, there will not be Kairaku-en Garden and the person whom I hear it and do not know! 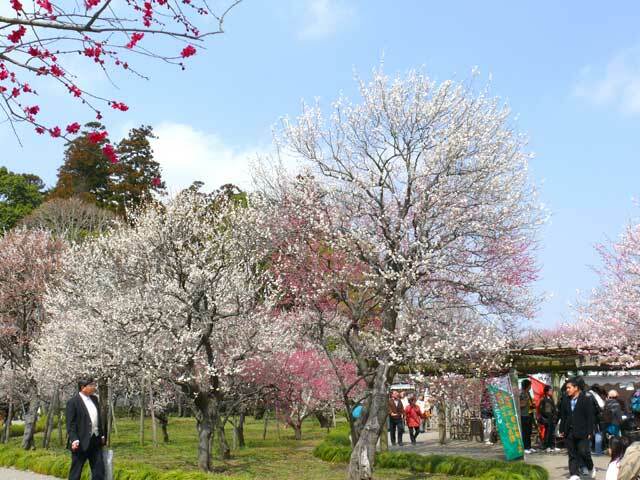 Only it is the place that is famous as a place of connection of Komon Mito here. 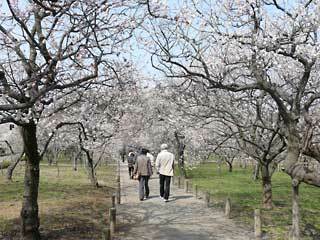 Beauty of the park of the plum seen from a parking lot And many flowers were in bloom so that it might sink into eyes! 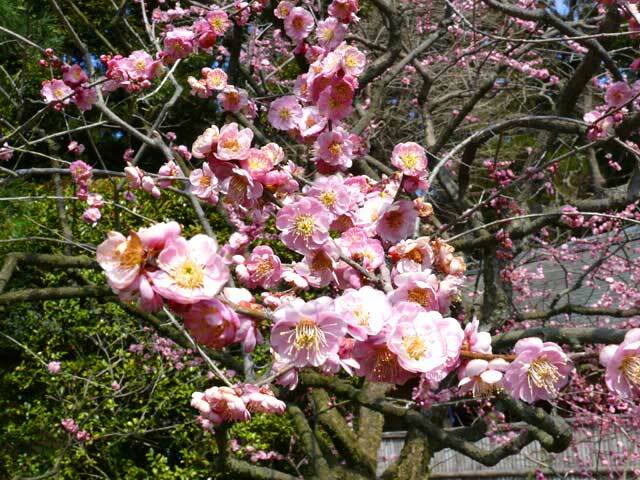 Even though the tree here had many old trees, the care is very good, and although the all attached the flower vigorously and are in all glory, it was surprised with the thing of being Kairakuen truly! 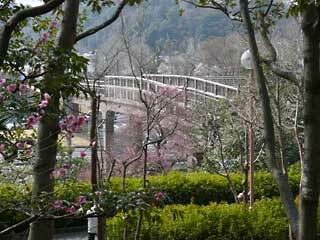 This is the pedestrian bridge which is in Kairaku-en Garden from the Lake Chinami, but there is the thing which the flowers of the plum to watch from these outskirts stare wide-eyed at. Because the outskirts wanted to all watch this Kairaku-en Garden greedily this time, I was clockwise and decided to appreciate it from the east gate at first to watch the outside! Still, all plums are the best part at the time of the full bloom. 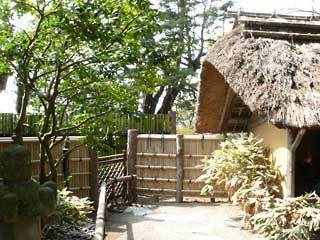 It is that unique wooden building 'Yoshifumi bower' that introduce in broadcasting station of any place when I introduce Mito Kairaku-en Garden. 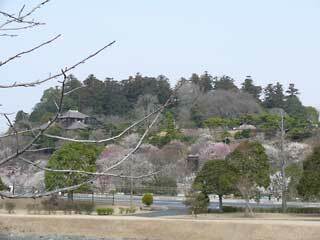 Even if that building does not have to speak it now here I adapt myself to it with the outskirts and how enhance the mood of Kairaku-en Garden, it is a splendid building, cultural heritage. 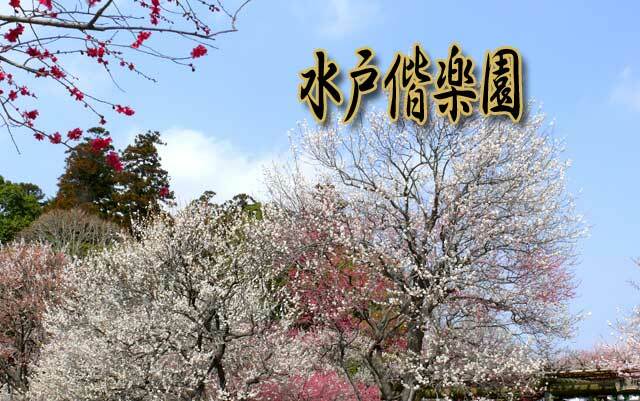 If get together in a document of the explanation that had according to a thing of the ninth Mito feudal clan charges feudal lord Nariaki Tokugawa. And 'oneself alone is not going to enjoy it, and it is written down a large number of people and with' which I was going to enjoy here. Still, it is particularly different Ino that is a splendid place. 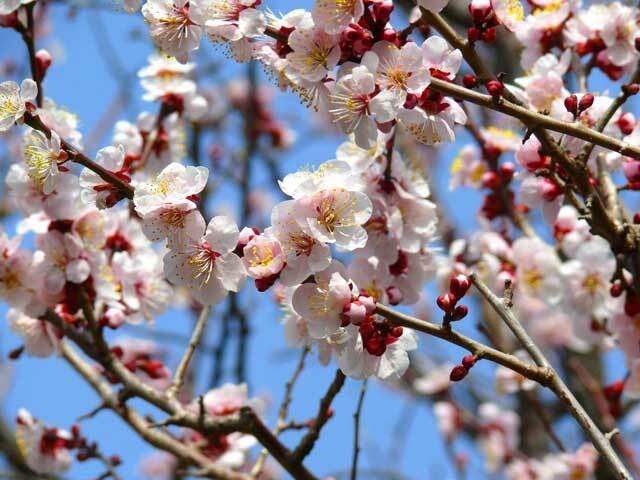 I was different from the plum which bloomed in the vicinity of the entrance of the Yoshifumi bower in the inside where there was the beautiful old-fashioned mood of the straw-thatched roof in even anything, tea being the atmospheres that wanted to drink one cup, and there was not it! 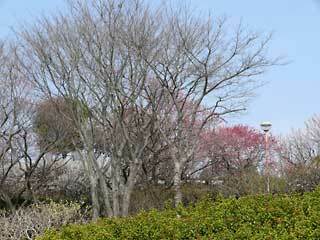 In the time of state ... / the cherry tree in the Yoshifumi bower, would you carry out tea parties here? It is Lake Chinami and a state of Bairin to show in the sky of the haze far distantly. The mood was the scenery which overflowed even if I looked, and nature would be more beautiful in those days now! That Kairakuen is wonderful is the appearance which considered again and was told also by this visit truly! .... 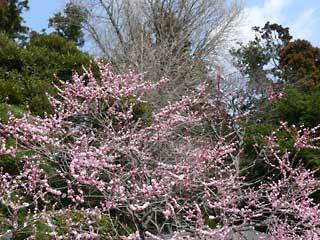 Even though the time of a plum is short, it will still be also fully maintaining a full plum here this month. ..... We recommend you to visit by all means in this way, here and there which is not yet visited in the spring of this year, if it sees. Tochigi Prefecture Michi kusa information.